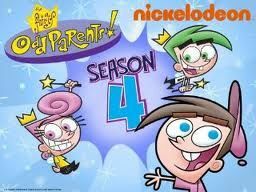 You will Watch The Fairly OddParents Season 7 Episode 8 online for free episodes with HQ / high quality. Stream cartoons The Fairly OddParents Episode 87 Frenemy Mine / One Man Banned. After Timmy saves Vicky’s life after her attempt to torment him backfires, she is shunned by her fellow evil babysitters, and loses all of her friends. After Timmy suggests to her that she try being friendly, Vicky begins to smother Timmy with friendliness, and he must find a way to change her back to her mean self, since she won’t let anyone else near him; After Timmy is rejected from the school band, he wishes everyone would love his music. But when Timmy gets his first taste of acclaim, Wanda has to stop him before he becomes completely fame crazed.